I just found your website and I am so in love! These recipes all look delicious, easy to make, and healthy. I can't tell you how excited I am to expand my menu (I'm sure my husband will be just as excited)! This was soooo good. I made it last night. When I entered it into the recipie builder on WW web site they said it is 10 points+ per serving. So delicious! I can't wait to try more recipes! I have NEVER had a soup more delicious than this one! This is going to be a staple in my house. At least once a week! Thank you for all of your amazing recipes! Oh my goodness Gina, this might be the best recipe I've had from your blog yet. I've always liked cilantro but never really cooked with it until finding your blog. Avacado & cilantro is amazing, and the lime really just makes it. Another delicious recipe! Your food is amazing! Thank you again! I've made four of your recipes in the last week and am loving all your recipes! I love that they are really pretty easy to make as well with not a huge list of ingredients, yet still very tasty! Thank you so much, I'm always excited to get your email update to see what's cooking! Your recipes are the best, and they're wonderful and low in Points for me. I've made dozens and dozens of your recipes, but I have to say, this is the best thing I've ever made of yours…likely the best soup I have ever made, period. You should see the number of "Skinny Taste" recipes I have in my kitchen…..you need to do a book!!! I made this for the first time a couple nights ago. It was SO good!!! Wonderful flavor! I didn't have the cilantro on hand but next time I will try it with cilantro. Muy delicioso!!! We LOVED this soup. Very yummy, and full of Mexican flavor. Next time, I plan on doubling the recipe 🙂 Thanks! I made this last night, and LOOOOVED it, I love avocados.. 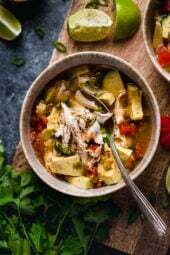 I've been wanting a friend of mine's delicious tortilla soup recipe and I saw this and it looked very similar and turned out to taste identical! I added probably a little extra seasoning, a little onion powder and extra cumin. Thanks for all of your fabulous recipes! for and avocado to keep it's color and not brown I put plastic wrap on it as soon as I cut it, just make sure you don't leave any air bubbles, the plastic should be completely against the "meat" of the avocado, also leave the pit in, will keep the center from browning! Also try lime juice!! I finally tried this and it is AMAZING!!! It almost tastes like my moms. Delicious, delicious and delicious! Saw this recipe when I was first looking at your site and fell in love with it. Finally made it and I'm in love all over again. So easy and SO delicious! Thank you!! 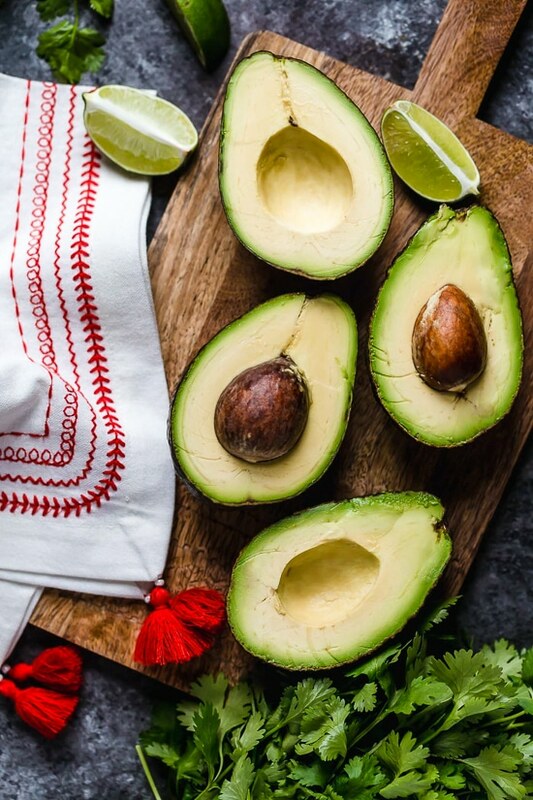 Since you use half an avocado for each bowl, how do I keep the other half of the avocado good (not brown) for the next day's lunch? I love avocado. I would eat this for lunch and dinner for two days! Thanks! I tried to make it mine didn't come out well not giving up. I had a soup like this at a luxury resort in Mexico. It was the best soup I had ever tasted. I hesitate to say it…yours may be better! I absolutely love this recipe. It's so simple yet so delicious and filling! YUM YUM! I added some green chiles and brown rice….. it was great just like all your recipes! 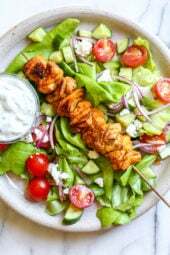 I have tried about 7 different recipes from your site in the last 2 weeks, and every single one of them have been delicious! I made this soup today and I have one word…HEAVEN! Thanks for the great recipes and ideas! 1 bowl?? How much would you say that should be? I wish I trusted myself but if you say 1 bowl I'll look for the largest bowl in my house and call it good. HAHA!! We just had this soup last night. It was awesome! So easy. Wanted to mention how much the cilantro and lime really make the flavor pop. Also, the only thing I might add next time is green chilies (being from NM and all, we add them to pretty much everything). Just finished having this soup, it was absolutely delicious!! I haven't had hominy in years! This soup is bien sabroso! I like the original but I add pozole (hominy) to bulk it up for a main dinner course. Then it also smells like corn! so that's pretty awesome as far as I'm concerned. thanks gina! I just made your soup! I don't usually eat soup, but I thought it would be a healthy snack/ appetizer to try out. It tastes wonderful! This soup is AMAZING!!!! I can't wait to try more from your site! BTW, I'm suddenly addicted to browsing through your recipes! Thanks Tristin, that really means a lot to me!! And yes, this is so simple, yet so good!! Gina,this recipe is BRILLIANT. I mean, like stellar! So simple to make, so filling and satisfying! My blog-mate Sharon and I are kind of obsessed with your recipes right now–each one we try just keeps getting better. Our husbands even like them, too! Thanks for helping me eat healthier in a fabulous way! Great!! Good luck to you on your wedding day! Hello from Aus! Saw a link to your site on WeddingBee and have bookmarked so many new recipes to try. My fiance said this is his favorite soup ever…I've made it twice in 7 days now. We also loved the lentil and chicken soup. Thanks for sharing, you're making my upcoming Hawaiian vacation/wedding diet easy! Gina, this is the very first thing I made from your site. It is so good…I have it at least once a week. My friends and I get together once a week and share weight watchers recipes and a meal. We so love your recipes! Please keep them coming and thanks for helping us out. We made this tonight and it was delicious! We added Vermicelli noodles to make it a bit heartier. Thumbs up for sure! Crushed tortillas I bet was perfect in this soup! Have a great day. Very tasty! I had some pork broth leftover from making carnitas and used that as a start to this recipe and it was very flavorful! It did remind me of tortilla soup so I crushed some on top at the end. Thanks for the yummy idea and the inspiration. There are many other recipes I have bookmarked to try from you. I've been cooking up a storm lately! I substituted a drained can of Rotel for the tomato. It added an extra "zing". Love this recipe! I really appreciate your website, too! I too know this as tortilla soup, and it's been one of my cold-weather staples since long before I started weight watchers. I just made a huge batch in my crock-pot last night. I love how filling it is! I add frozen corn and halved jalapeno and/or serrano peppers to mine as well, and a can of ro-tel rather than tomatoes. I never thought to add lime juice, I'll have to try that! Oh good, I hate to disappoint! Amazing! I was so excited to make this and was NOT disappointed! I would love to see this updated for points plus! Yes, it would keep well. You don't add the avocado until you are ready to eat it. Would this soup keep well for a few days? Avocado turns brown after a couple hours so would this soup be gross on day 2? I made it last night, AMAZING! And so easy to make! I had no chile powder handy so I added some sriacha instead, gave it a great kick! My husband loved it. Thank you! You're amazing, can't wait to make something else tomorrow! This is what I know as tortilla soup (since tortilla chips are served with it) and I have been looking for a recipe like this! Thanks so much for sharing! You are a kind person to do all of this work! @Anonymous – You're welcome! I never thought of using tofo but great idea for vegans. I don't have a cookbook yet, but I do hope to have one in the future. I make my own chicken broth, sometimes I use canned broth, and sometimes a bullion cube works if I have nothing else. I had some dental work done this week; I was looking for a soup with some slight, but easily chewed texture when I came across your blog. This soup is absolutely fabulous – I switched out the chicken for some firm tofu which I cut into tiny cubes. OMG You made me so happy!!!! This was beyond delicious. My first attempt at chewing was so worth it!!! Thank you, Gina for taking the time to host such an amazing blog. I love your website. I make your recipes a lot btw I would totally buy a cook book by you. Do you have one? Anyways I have a question. You use broth a lot and where I buy broth it is 3 to 4 dollars per recipe I make. I was wondering if there is a cheaper way to do broth? maybe the bouillon cubes. Nice idea Laura!! You're welcome!!! 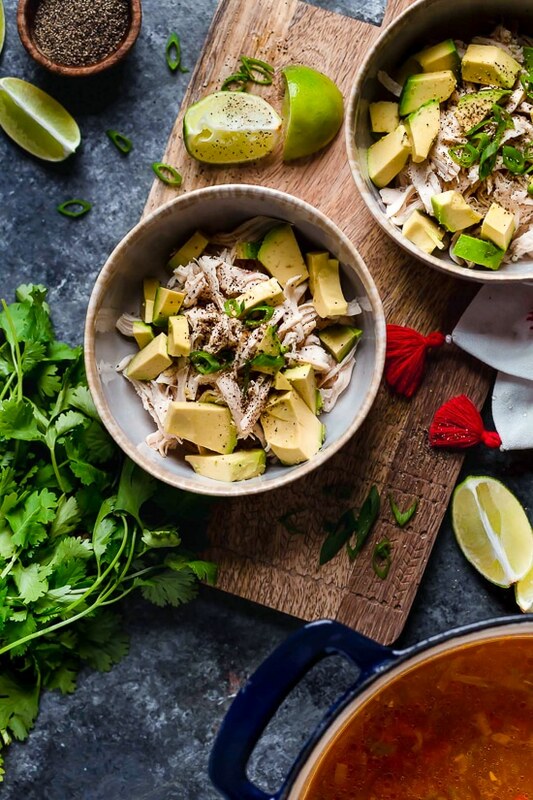 I have some shredded chicken and avocados at home, guess what I'm having for dinner tonight! This recipe is fantastic. I cooked it for the first time tonight. I added a jalapeno to add some kick. Thank you for this blog; it makes me so happy. @Bridgett, not sure if it would be tart with tomatillos, you could leave the avocado out and maybe add some crushed tortillas. 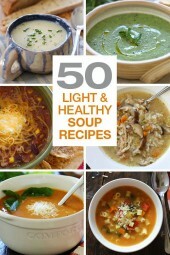 This soup looks so good, and just like the soups served in Mexico! I'm not big on avocado–any suggestions for an alternate? Tomatillos? What a delicious and easy meal for a weekday! It was so good! Made this today….it was delicious!!!! And so easy to make…it literally took 20 minutes. Will definitely make again! You can freeze it without the avocado. My daughter eats this soup without the avocado, so maybe he would like it without, as a first course. I made this soup a couple days ago, and it was delicious! However I am the only one in my house eating it, as my husband deems avocados as icky(poor him). Would the leftovers be ok to freeze? My husband declared this, 'definitely a do-over' meaning he REALLY liked it! Thank you!! Made this tonight! Awesome!!! My family loved it and I thought it was pretty easy to make. Thanks for the recipe! I agree Kari, just as good without the chicken as a lighter soup. This is my third day in a row having this for lunch. I have your crockpot stock portioned into freezer bags, few minutes in the microwave, chop up some avocado, the broth is so flavorful I've even had it without the chicken, just the broth & avocado. YUM! My mom sent to me to your site Friday. It's now two days later and we've already had two Gina WW dinners. This was the second and my family absolutely loved it. My partner said it was like something he'd have in a restaurant. The lime makes the meal, seriously. I sauted the veggies earlier today. I put them, the chicken, the seasoning, and the broth in the crock pot to cook all day. When I served it I included Chipotle Cilantro Lime Rice to the options to add to the bowl. Rave reviews from the boys in the house. Thanks, Gina! Isn't it great? So easy! Made this soup it was fantastic and easy! Thanks for posting the recipe. Just made this soup tonight!! WONDERFUL is all I can say! Your welcome! Rice is a great idea to make this a little heavier. I like the rice on the side, I take a spoon of rice with a little soup, yum! Thanks for sharing how to make this into a vegetarian meal! I found your site on stumbleUpon today, and *had* to try this recipe. I susbstituted veggie broth for the chicken broth and chickpeas for the chicken to make this vegetarian. It has wonderful flavor, and is very filling. 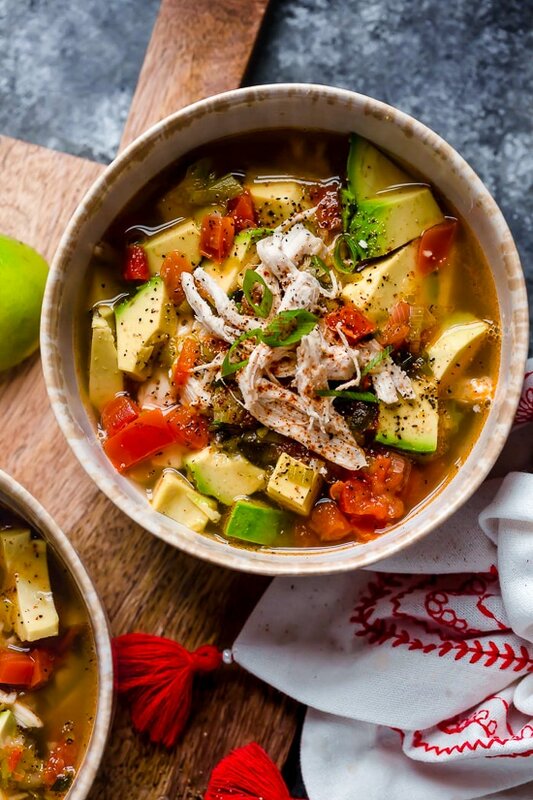 Love this chicken avocado soup recipe. Looks very tasty. Will try soon. Love to hear good reviews!! Thanks for leaving a comment!! 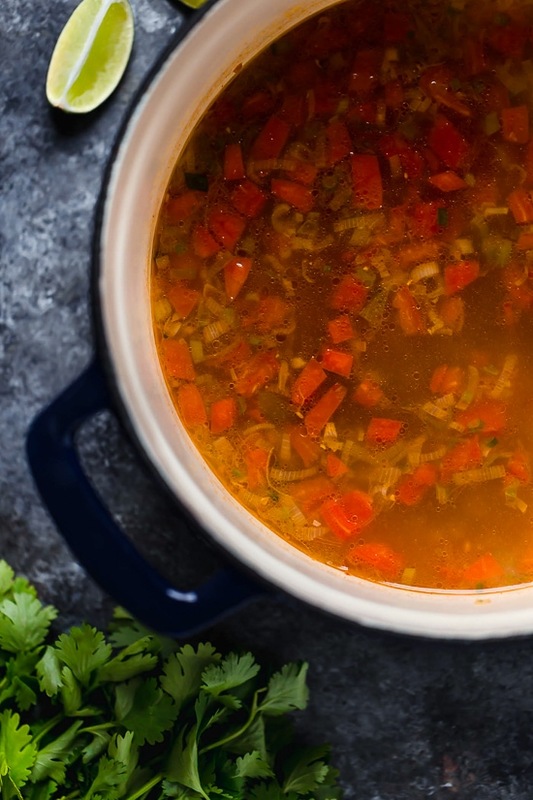 I made this soup tonight–it was delicious! Thanks for the idea. I've made two of your recipes so far and I've only been subscribed a week. Thanks! Thanks for this delicious website! I have tried 5 recipes in the last week since I found it & every one has been spot on. Even my hubby & son have liked everything I've made from here & never realized it was WW friedly! This soup is on my list of ones I want to make next – I think I'll make it for dinner Fri.
Made this today…perfect soup for a cold snowy day. Very flavorful….thanks for ALL your wonderful recipes! @Missy- this would be great in the crockpot! The chicken literally falls apart when cooked in the crock pot. @itsmerosaly- thank you!!! I only publish the recipes we love in my house. If it's just ok, you will never see it here! I'm trying this one tonight! The weather calls for something just like this and a short trip to the grocery and it's done. Thanks! sounds great! I bet it would be tasty with shrimp in place of chicken too. Wow I never heard of an avacado soup, it sounds wonderful and different. I'll give it a try! Yummy! I like to make different soup, thanks for such delicious recipe. Classic soup! I would like to make it with meal. I can not tell you how much I absolutely love your website!! I've told all of my friends because EVERY RECIPE I have tried on your website is delicious!! And I've tried 4-5 or them! My boyfriend and I take turns every week choosing which recipe we want to do next! Thank you for making a website that has healthy food and that is easy enough for newbies like myself to follow!! Gina, Thank you so much for your blog. I am addicted!! I check it daily and plan my meals for the week around your recipes! 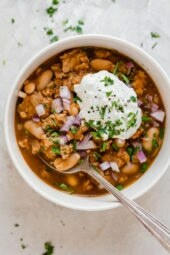 Just had the Crock Pot Chicken Chilli for dinner- SUPER ! I absolutely LOVE, LOVE this recipe! This soup looks incredibly delicious Gina! This looks AMAZING! I will HAVE to make it this week with all the snow we are getting up here in New England! Oh YUM! And I have everything to make it except cilantro. I'll have to go to the store when this crazy snow storm ends. Maybe tomorrow! @Sondra- Thanks…Sure, you can add a link. Good luck with your blog. Sounds delicious – and yes, I am an avocado lover like you. I love avocado in my soup! It's a latin thing! I just love your blog! What a great place! My sister and I just started a weight watchers blog. Please stop by and visit us. I can't wait to try this. I love avocado and chicken so much!! Gina that looks and sounds absolutely delicious!!! I WILL be trying this soon! This is a classical soup in México! Excellent for cold days.